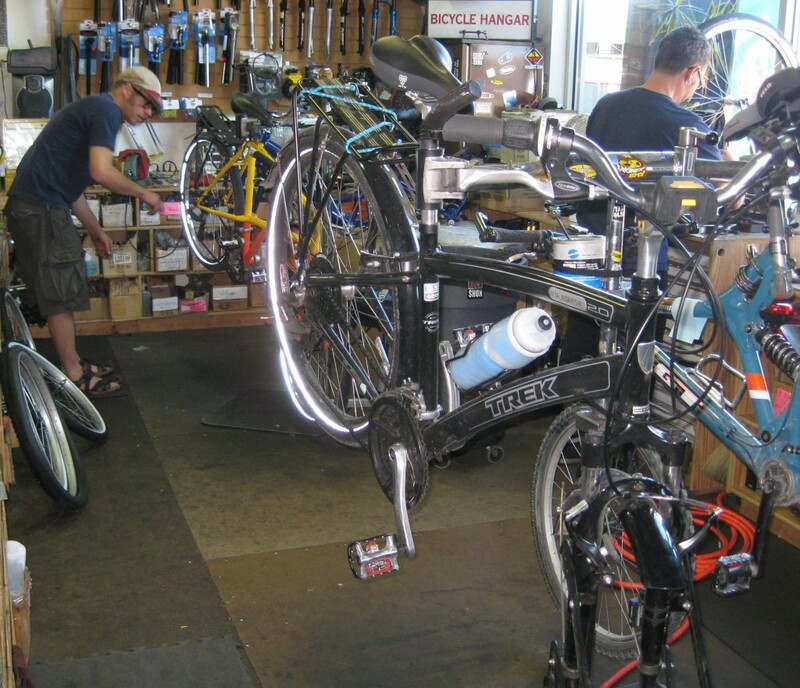 Our first stop of the day was a bicycle shop for a few minor adjustments. 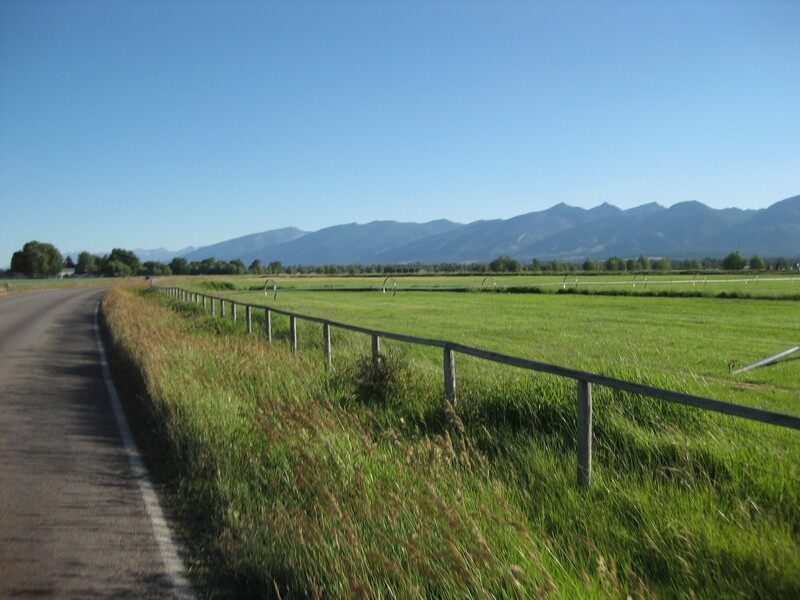 A quick look online confirmed that many of the bicycle shops in Missoula, MT were closed on a Sunday. 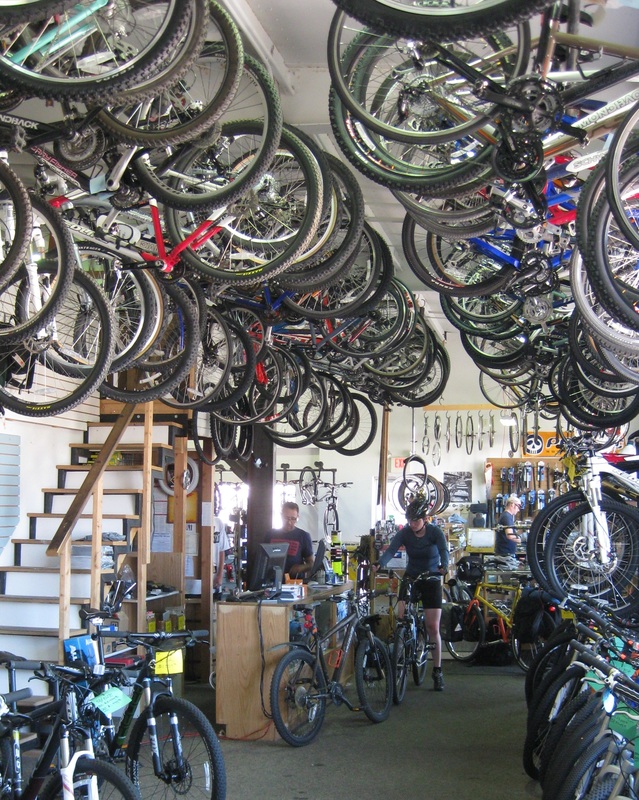 Thankfully the oldest bicycle shop in town “Bicycle Hangar” was open and not far from the downtown area. John and Herb worked their magic and had our bikes fine tuned again in no time. They were exceptionally reasonable too. 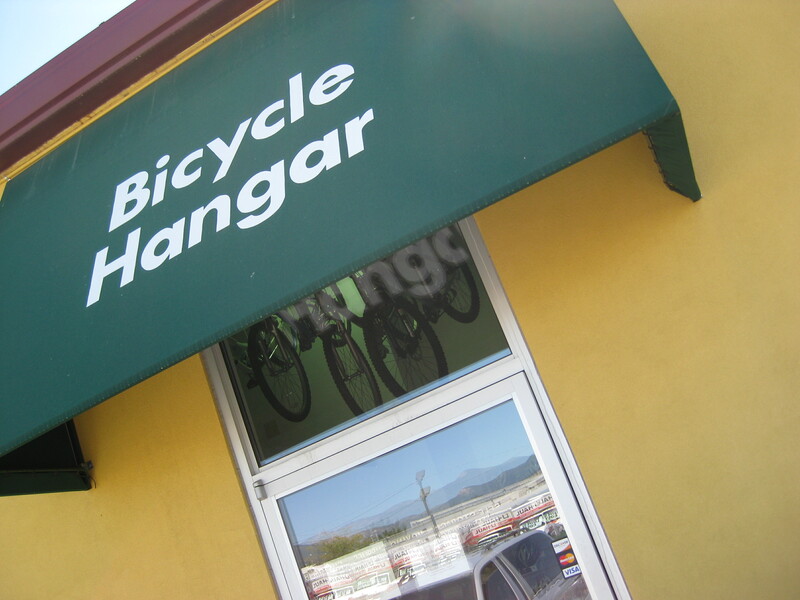 If you ever find yourself needing a tune-up in Missoula, check out the Bike Hangar. This one’s for you Luke! 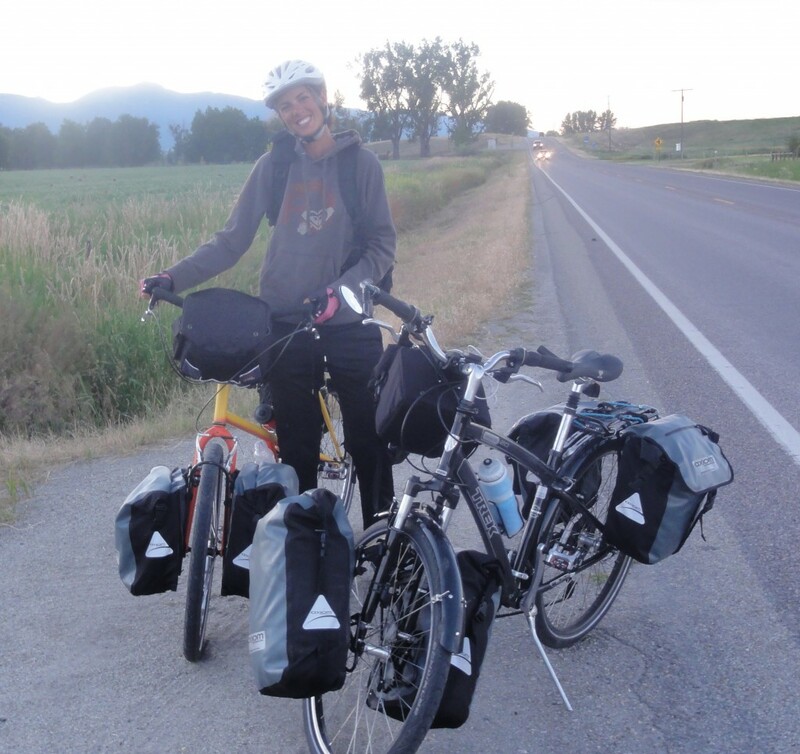 As we cycled through Hamilton, MT the sun began to set and we didn’t have sleeping arrangements in mind. As darkness fell and we hadn’t completed our desired 50 miles for the day. Jess suggested we stop and ask someone where the next campground was, just so we had a destination in mind. We pulled over at an RV park on the outskirts of town and walked our bikes into what appeared a ghost town of immense RVs. Every light was out but one, and we approached the occupants cautiously. Our inquiring as to the next camp ground turned into a wonderful evening of conversation as husband Rob and wife Ash invited us to pitch our tent on their site. Their adorable kids Lexi and Preston dancing about in glee at having new company. Apparently these strange girls and their bikes were very entertaining. 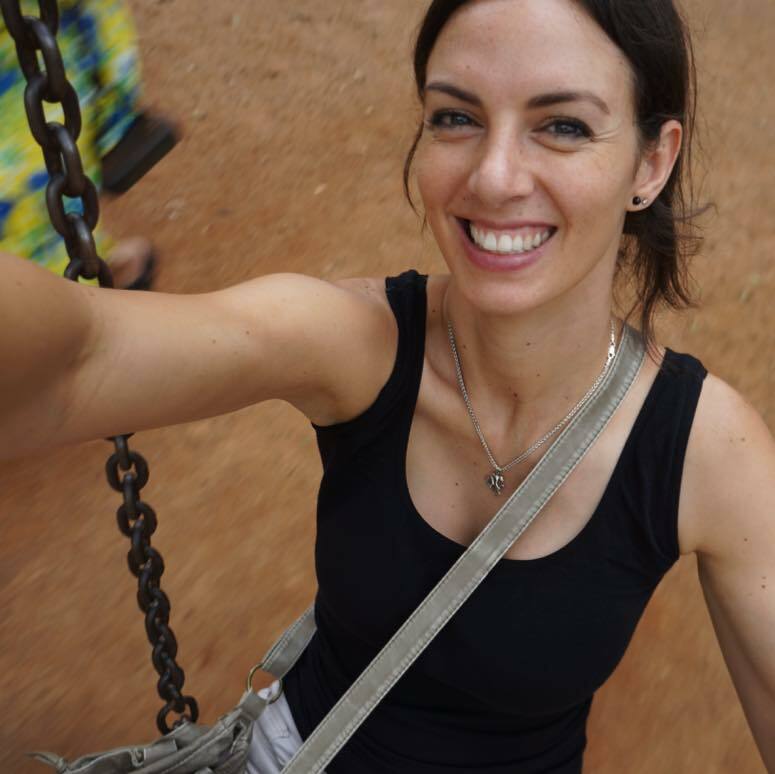 Ash and Rob made us feel at home, set citronella candles around our tent, gave us insight as to a short cut for the upcoming day and even gave us orthopedic insoles for our cycling shoes! We stayed up discussing everything from politics to education until the wee hours of the night. Amazing what one pesky question can turn into!